It’s one of a dentist’s most difficult business challenges: a potential patient is searching for a new dentist but the dental practice doesn’t appear in the search engine results until page three – far past any relevant search listings, and far beyond the top few results the potential patient will bother clicking on. 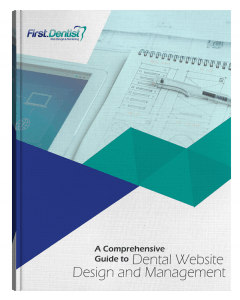 You need potential patients to easily find your dental practice website in the search results listings. According to a Google study on local business search behaviour, 50% of mobile web users are likely to contact a business within a day of their search. 78% of local searches on mobile resulted in purchases. New patient acquisition statistics like these emphasize the importance of optimizing your local search engine presence. Google is a significant source of customers for most dental practices. A high ranking in the search engine results is a key driver of practice growth and profitability. It is critical and profitable to make the effort to attract those customers from Google and other search engines. What is Local Search and why does it matter? As technology and user behavior evolves, so do Google’s search engine results pages. Over the past eight years we’ve seen the rise of mobile search and geographically-based searches for local businesses. As a result of this dramatic shift in user behavior, Google has developed the local maps-based search results. If Google detects a geographic intent within a search, that search is considered a local search, and the results will then display the relevant maps and Google Places above the organic results. These local results attract most of the clicks for local services like dental services because of their relevance to the searcher as well as their featured position at the top of the page. The review stars also significantly influence click-through-rates, to the extent that the dental practice with the best reviews will almost always get a visit. Reviews are a form of social proof, and people tend to trust Google reviews. Studies have shown that 88% of consumers trust online reviews as much as personal recommendations. If you want to acquire new patients from the internet, your practice must show up in the local search results and have a great reputation. Read our blog post “How to handle negative customer reviews for dental practices” to learn more about managing your reputation online. Organic search results will display results from review sites like Yelp or Healthgrades as well as local dental offices. You can see this result in the screenshot of the search engine results page for the search, “Seattle dentist” above. In the Places section, there are only local dental offices, not Yelp or other directory listings. Some organic search results will not show any local listings. For example, a search for “best underwater camera” would indicate the user is looking for information about the best rated underwater cameras. Google would show results featuring reviews, cameras, or articles about underwater cameras. The results would probably not display a listing for a local underwater camera store, even if there was one nearby. However, you might see a paid search ad for a local camera store from a savvy local advertiser..
Google understands local search intent very well. If a user searched for “best dentist” and a local dental practice had to compete against every other dental practice in the country, very few practices would ever be successful in acquiring new business online, and the search results would be useless to most people. The process of ranking in the local search algorithm is quite different than the process of ranking in organic search. Many SEO companies specialize in one or the other type of search. First.Dentist has focused on local search since Google first rolled out this feature. Ross Dunn our co-founder and the host of the popular podcast SEO 101, has been at the forefront of local search since it began. We’ve had top-ranked local business clients for over 20 years. Not many agencies can make that claim! Over time, searches that Google considers local have been focused on Place- and Map-based results. This trend will continue over time with adjustments. For example, AdWords pay-per-click ads have recently begun appearing at the top the Local Maps results. Because only three practices are featured at a time in the local results, dental practices need to start optimizing right away to gain benefits from these types of searches. Your competition has already started optimizing – don’t fall behind. There are hundreds of ranking factors that influence the search engine results from Google and other search engines. One thing you can be sure of is that local SEO is constantly changing. First.Dentist co-founder, Ross Dunn, has been practicing SEO since 1997. It’s our job to stay current on what the most important factors are. Here are several credible resources if you want to learn more: The Local Search Ranking Factors by Moz – Moz.com surveys the top experts in Local SEO every year and publishes their results here. This survey offers insights from top experts in the field. 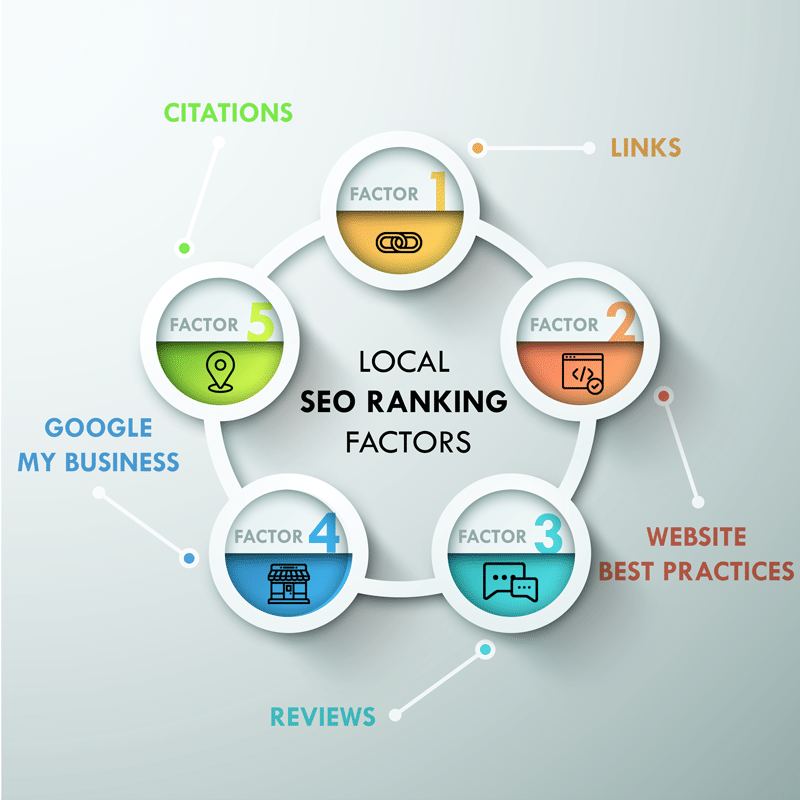 The Local SEO Ranking Factors Guide by Local SEO Guide – This guide is based on data compiled with more than 100 factors across 30,000 businesses. If you want data, not opinion, this guide is very useful. SEO 101 – Ross Dunn (First.Dentist co-founder) and John Carcutt host the weekly Podcast SEO 101, rated by Hubspot as a Top 10 SEO resource. Listen to learn about the most recent changes in the local SEO landscape. Links are like votes of legitimacy for your website from the internet. They have always been an important part of Google’s algorithm. Despite link building garnering a dirty reputation with Google and other sources, it is essential for businesses to continually acquire relevant links to their website. According to the Local SEO Guide study, “links are the key competitive differentiator even when it comes to Google My Business Rankings.” Dental practices need to acquire links in a clean and ethical fashion to avoid penalties from Google. The structure of your website is an important factor in helping Google understand what’s on your website. There are many technical code and website content issues that need to be considered. There is plenty of bad advice about SEO lingering online that is no longer current. 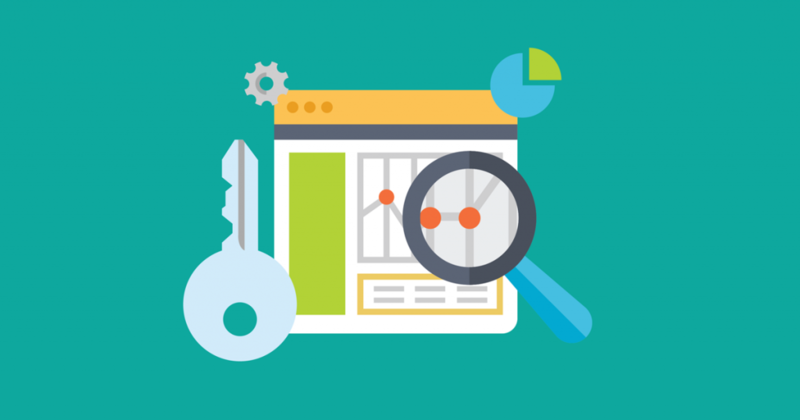 Get expert advice before you optimize your pages. Reviews are one of the best practices that all dental practices can easily adopt. At First.Dentist, we believe so strongly in the power of positive reviews that we include our Proven Local software in all of our SEO packages. 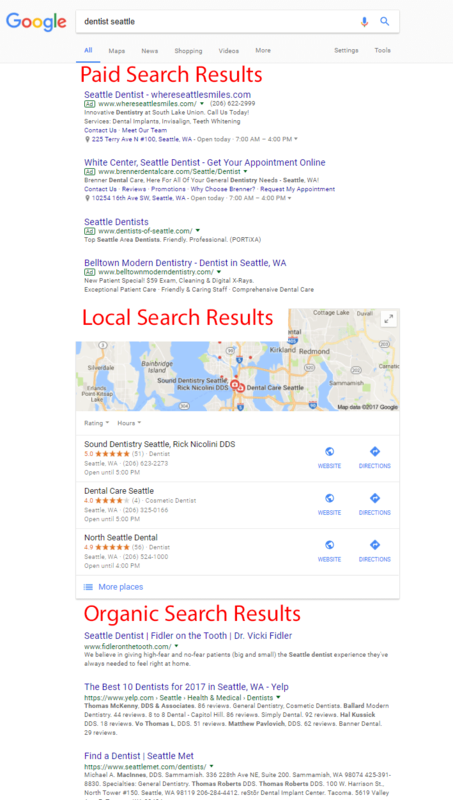 Generating great reviews is becoming even more important as Google is now showing different results for search terms like “best dentist” and showing the highest rated local business in the Google Places results. Google My Business is one of the most important tools for understanding your results and helping with search engine optimization. All dental practices should be using and regularly managing their Google My Business listing. Citations are website listings from sites that index businesses, review local businesses, and major online data aggregators. All citations are not equal, and there are a few that are more important than others for dental practices. We will review this in a later blog post. First.Dentist can help your practice rank and acquire new patients with a great return on investment. Contact us today to schedule a free strategy session where we will review your competition and local market and show you how to make online marketing profitable for your practice.